Increase the value of your home and create a timeless focal point with a low-cost easily installed ceiling medallion. Completely change the appearance of a drab or older style ceiling with a decorative PVC ceiling medallion. Make a big difference, by adding the finishing touch to your light fixture with a coordinating ceiling medallion. With limitless designs, our medallions add dimension, texture and character that matches every décor style. 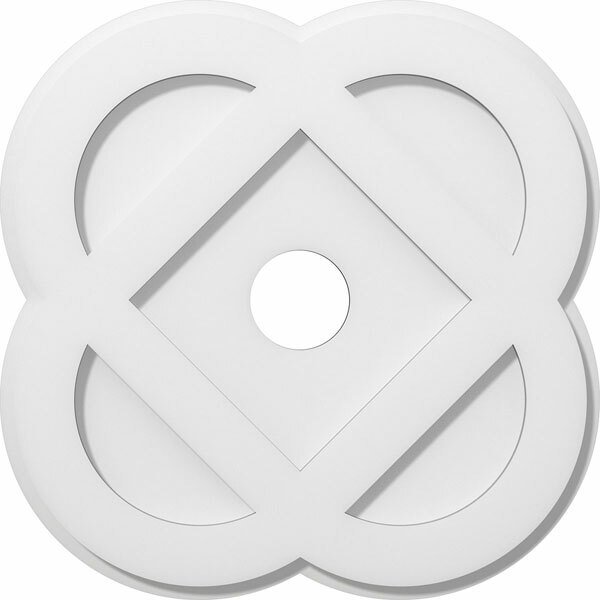 Our solid durable PVC medallions are made of the highest quality material, for a fraction of the cost of traditional plaster or wood. They come ready for paint or faux finishing, making it ideal for a variety of interior applications. Make a dramatic change with instant elegance and personality with our easy-to-install medallions. Add luxury and detail to an average ceiling fan, uninspiring light fixture, or get creative by mounting them on the wall for an innovative look. With more styles to choose from than any others, we are sure to have the perfect medallion to inspire a new project for the designer in you.